Are you a fan of a juicy gadget rumour? Of course you are, you can't get enough tech titbits can you? 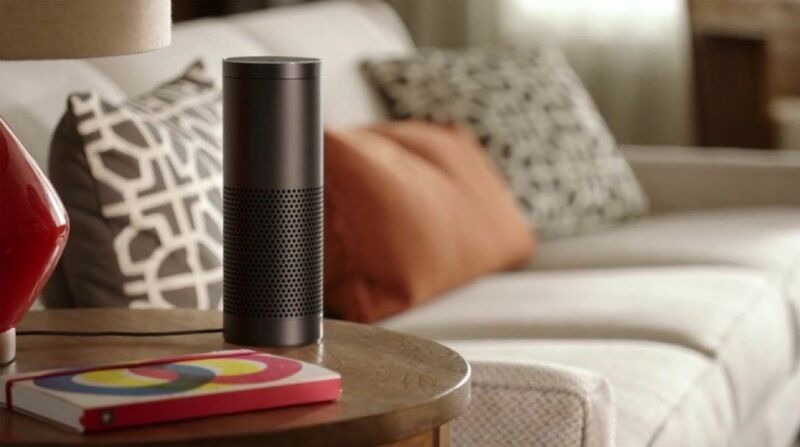 Amazon's next Echo speaker will "improve on the first speaker in practically every way". That's according to a report on Engadget, who claim to have spoken to folk in the know. "The new Echo will be both shorter and slimmer than the original, almost as if it were three or four Echo Dots stacked on top of each other," reads the report, which goes on to detail a next-gen smart speaker with improved audio and microphone tech that will "take some of the hype away from Apple's HomePod". Sticking with Apple and tech's biggest name is fully embracing the smart home revolution. In 46 Apple Stores across the globe Apple has installed a new interactive HomeKit smart home experience, where you'll be able to use the Home app, from either an Apple Watch, iPhone or iPad to control devices. The list of HomeKit enabled devices is ever-growing and the experience, as detailed by the guys at TechCrunch, helps to" familiarize everyday people with the capabilities of HomeKit". There's a huge array of Fossil smartwatches incoming, we know that, and one has just turned up at the FCC - which hopefully means that one of (deep breath) the Fossil Q Venture / Q Explorer, the Diesel On, the Michael Kors Access Sofie/ Grayson, the Misfit Vapor or the Emporio Armani Connected should be landing soon. Or maybe the DW4A is a new Android Wear smartwatch that we've not even heard of yet. Sticking with the FCC and a new Samsung fitness tracker has shown up at the regulator as well, with SamMobile claiming it's "a slightly improved variant of the Gear Fit2." Model number SM-R365 could be called Gear Fit2 Pro when it launches, apparently, and will feature single-band Wi-Fi b/g/n and Bluetooth 4.2 LE.